Infrastructure wars in Asia, a Japan-Europe deal, and the Varghese India report got a surprisingly low-profile launch. Two statistics in the new report to the Australian Government on the future economic relationship with India underline how this is going to be a battle of perceptions even before anyone gets to the policy ideas. The first is a crony capitalism index, which estimates that crony sector wealth constitutes about 3.4% of Indian GDP. The second is that goods and services trade now equals 39.8% of GDP. Whether these are high, low, good or bad isn’t the point. Rather they are the same ratios as for Australia – which will be a surprise for people who have a more negative view of the way India’s economy is run. Freed from the binds of bureaucracy, Peter Varghese has produced some interesting new ideas on future forms of economic engagement. The report’s author, Peter Varghese, a former Department of Foreign Affairs and Trade secretary, has spent much of his career pondering the potential for an Indian renaissance. Now, freed from the binds of bureaucracy, he has produced some interesting new ideas on future forms of economic engagement, while sticking with a much more consensus view of India as a potential security partner (as Alexander Davis noted here). It is striking that this report about one country alone is about five times longer than last year’s Foreign Policy White Paper, and even bigger than the 2012 Asian Century White Paper. But despite all this work, it got a surprisingly low-profile launch last week after earlier being talked up by Prime Minister Malcolm Turnbull when he commissioned it. Varghese is hoping for a comprehensive government response by the end of the year supported by the Opposition. But it will now be interesting to see what traction his ambitious strategy really gets amid all the short-term trade antics of US President Donald Trump, and a local election with an immigration focus. After seven years of negotiations, the Varghese report has really delivered the final blow to any prospect of a bilateral trade deal with India, at least in the short to medium term. It instead says that Australia should turn its attention to the Regional Comprehensive Economic Cooperation (RCEP) negotiation to achieve any formal trade liberalisation measures in alliance with other Asian countries. So, it might say something about the government’s preparedness to take up more creative recommendations that Trade Minister Steve Ciobo declared on ABC radio this week that the government was about to restart trade negotiations with India. Varghese has tried to turn what might be seen as a trade loss on the seven-year-old Comprehensive Economic Cooperation Agreement (CECA) negotiation on its head. He urges that India should be seen as more of a long-term investment partner than a trade partner. He says that India has moved ahead decisively on investment liberalisation while Australia has been struggling with the CECA deal since former Prime Minister Tony Abbott’s 2014 declaration it would be done in a year. In virtually all of Australia’s relationships in Asia, direct investment lags trade by a wide margin. India holds out the prospect of being different. It has a relatively open foreign investment regime, more open than its approach to trade. That is the size of the opportunity and the key lesson for Australia of India’s scale, the momentum which is already built into its growth trajectory and the underlying complementarity between our two economies. Varghese presents this as a risk aversion strategy for Australia in uncertain times given that its two major economic partners in Asia – China and Japan – are both ageing and slowing. Shifting the economic engagement emphasis from a conventional trade deal approach to a broader national strategy involving federal-state cooperation, a more focused business approach and consistent long-term federal policy means the Varghese report is also a useful contribution to the emerging global discussion about post-trade deal economic relations. For example, the Asia Society Policy Institute in Washington is doing this sort of policy work in the wake of the Trans-Pacific Partnership failure in the US. While the report contains a lengthy discussion of ten sectors where Australia needs to develop coherent trade, investment, aid and innovation strategies to make progress in India, the bigger insight is about the need to understand the rise of competitive federalism amongst India’s states. 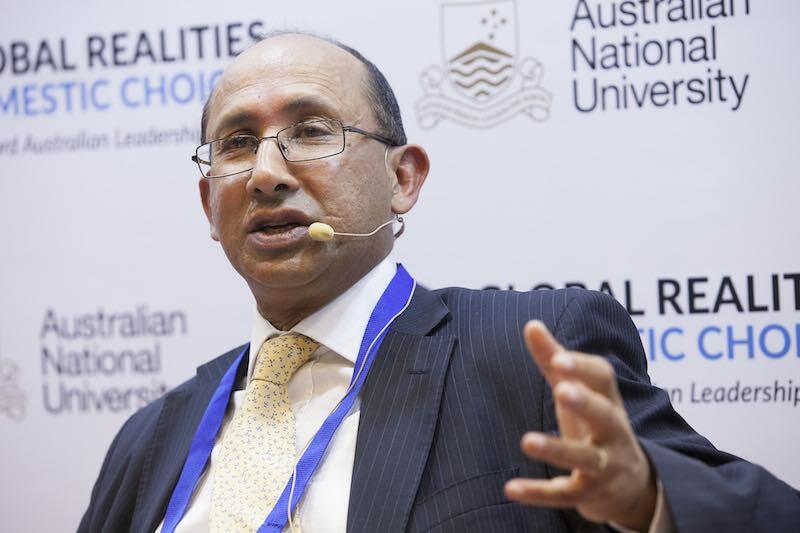 Varghese argues that this is now a key driver of growth and innovation in India but that Australia is well placed to slot into the process given its own experience of somewhat less competitive federalism. “It is states which practically control many of the things which make the day to day life of a foreign business in India easy or difficult,” the report says in identifying ten states where Australia should now focus its efforts. If there is any doubt that infrastructure construction is now the new Great Game in Asian security policy, it is fascinating to see how it intrudes into all sort of discussions these days. 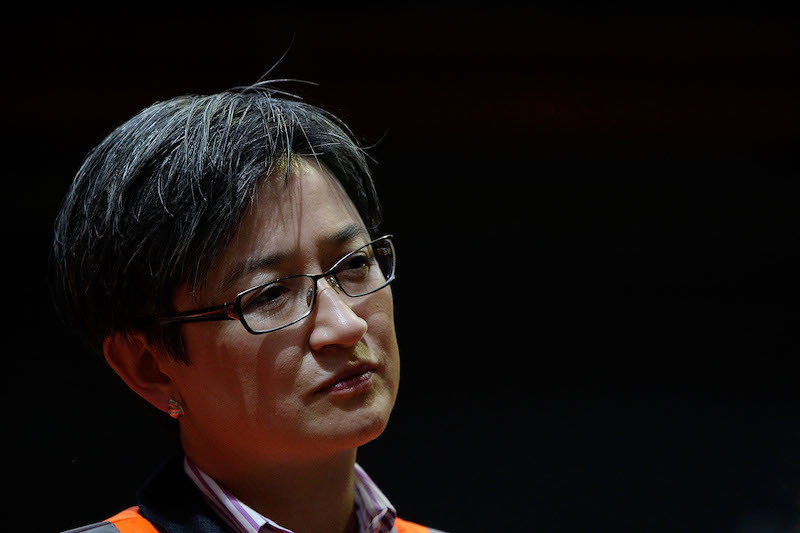 On Wednesday, when shadow foreign minister Penny Wong delivered a major speech on the US alliance at Sydney’s US Studies Centre, the only new concrete policy idea was a call for a new Australian fund to pay for infrastructure in the South Pacific. Labor has long taken a more benign approach to China’s Belt and Road Initiative (BRI) than the Coalition government, but now, after a visit to the US, Wong seems to have bought into the sort of policy approach the Trump Administration flagged earlier in the year to muscle up to the Chinese initiative. However, the reality is that Japan is the only country really leading the way in stumping up cash to rival the BRI, so Labor will need to show the colour of its money to give this policy any credibility. On the same day, when former Prime Minister Kevin Rudd spoke about Chinese President Xi Jinping’s world view at the Asia Society Australia, he cited the BRI and the Asian Infrastructure Investment Bank (AIIB) as the first steps towards a new rules-based order fashioned in China’s image. Rudd argued that this Chinese push to reshape global diplomatic architecture was only just beginning and was being facilitated by the rising competence of Chinese officials who were now available to staff these new institutions. Meanwhile, Australia has been urged to make more use of its AIIB membership to influence the way the BRI evolves in a report released during the China Economics Society Australia annual conference in Sydney. The study by Perth USAsia Centre research director Jeffrey Wilson says Australia should be leveraging its membership of the AIIB with partners like India, Indonesia and Vietnam to develop infrastructure governance standards which would then become the accepted regional benchmark. Wilson argues that while the BRI has opaque operating procedures, the AIIB is much more transparent, but Australia is failing to make the most of this because of its broader stalemate over how to respond to the BRI. The formalisation of the world’s biggest bilateral trade deal between the European Union and Japan this week in the shadow of the US-China showdown over tariffs is welcome news. The so-called cheese for cars agreement will cover a third of global GDP and represents another economic diplomacy triumph for Japan’s Prime Minister Shinzo Abe as many other global leaders retreat in the face of domestic challenges. But while there has been a lot of backslapping as the two parties declare themselves to be the “flagbearers of free trade,” this deal has failed to resolve the persistent impasse in trade negotiations over how to manage transnational investor disputes. In order to push the deal through, the two sides have agreed to disagree over resolving investment disputes which was a key stumbling block for the TPP and remains a contentious issue in Australian domestic trade politics. Japan wanted to stick with TPP-style Investor State Dispute Settlement (ISDS) independent arbitration panels, which critics say are opaque. The EU persisted with its plans for a more open investment court system after telling Japan ISDS was on the way out globally. Kim Jong-un’s summit with Donald Trump captured attention, but on the Korean Peninsula, many convoluted ploys are afoot. Washington’s withdrawal from the nuclear deal with Iran has created a test for New Delhi’s relations with Tehran. Political leadership and diplomacy evolved over thousands of years into distinct fields - for good reasons.